David Baum graduated from Brandeis University (B. A. with high academic honors) in 1975. He received his law degree from Loyola University School of Law in 1978. He was admitted to the Bar of the State of California in November of that year. In addition, Mr. Baum is admitted to practice law before the United States Supreme Court, the Ninth Circuit Court of Appeals, and the United States District Courts for Northern, Eastern, Southern and Central California. Mr. Baum has served as a volunteer Judge Pro Tempore of the Los Angeles Municipal and Superior Courts. In addition Mr. Baum is regularly appointed by Judges of the Los Angeles Superior Court to represent minors and others in guardianship, conservatorship and probate proceedings. Mr. Baum served sixteen years as President of the Academy of California Adoption Lawyers and ten years as President of the Academy of California Family Formation Lawyers. He is now the Past President of both of those organizations and remains a Fellow in both organizations. Mr. Baum is also a member of the Los Angeles County, San Fernando Valley, and American Bar Associations. He is also a member of the Woodland Hills Estate and Tax Planning Council and the San Fernando Valley Estate and Tax Planning Council. Mr. Baum also serves on the Los Angeles County Bar Association Lawyer Referral Service and San Fernando Valley Bar Association as a participating attorney with special experience in surrogacy, adoption, assisted reproduction technology, egg and sperm donation, and readoption law. His website www.probatelawca.com features in depth information about guardianships, conservatorships and decedent estate administration and trust litigation services he also can provide. 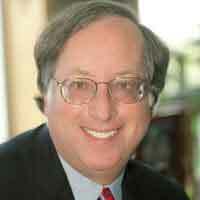 In addition, Mr. Baum has served on the State Bar of California’s Southern California Standing Committee on Adoptions. In 2004 Mr. Baum was selected by Congressman Henry Waxman as an Angel In Adoption and awarded that honor by the Congressional Coalition on Adoption Institute at a gala in Washington D. C. making him one of three Angels In Adoption from the state of California at that time. Mr. Baum continues to serve as a Continuing Education Speaker and author on adoption law and practice. Mr. Baum has been named a Super Lawyer every year since 2007 and his profile was featured in the New York Times Magazine and Los Angeles Magazine. Mr. Baum’s legal competence has, for more than 30 years been given the highest rating by the national lawyer rating organization Martindale-Hubbell. He has been accorded the highest rating of “A” for his legal ability. He has likewise attained the highest rating of “V” for his faithful adherence to ethical standards, professional reliability and diligence. Mr. Baum is qualified to be included in the Martindale-Hubbell Bar Register of Preeminent Lawyers–an honor bestowed on less than five percent (5%) of all law firms in the United States. Additionally Mr. Baum has been designated as a SUPER LAWYER every year since 2011. Mr. Baum has been a featured speaker at continuing education programs for the State Bar of California, the California Board of Behavioral Health Sciences, Practicing Law Institute, Academy of California Adoption Lawyers, Academy of California Family Formation Lawyers, and for RESOLVE for Greater Los Angeles and RESOLVE of Orange County. In addition he has spoken for the National Law Institute continuing education program on the subject of adoption law. An active participant in the community, Mr. Baum served for four years as Co-Chairperson of the Tarzana Regional Medical Center Adoptions Support and Information Group of Los Angeles. For more than a decade, he and his wife have continued to chair the Adoption Support and Information Group — a non profit free support group for adoptive parents in Southern California. He has served as a member of the Camp Committee which operates the Wilshire Boulevard Temple Camps in Malibu, California and on the Board of Directors of the West Valley Symphony Orchestra. For many years Mr. Baum also volunteered as a big brother through the Los Angeles Jewish Big Brother Organization.